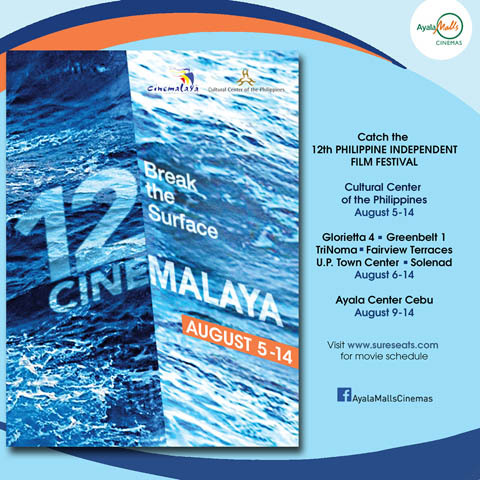 The country’s annual Cinemalaya Independent Film Festival celebrates its 12th year with a resonant theme “Break the Surface” featuring an impressive roster of films for full length and short feature categories that are currently showing at Ayala Malls Cinemas. Now on its sixth year partnership with Cinemalaya Foundation, Ayala Malls Cinemas has again championed the works of the country’s talented filmmakers showcasing the festival’s entries in seven of their branches (runs from August 6 – 14 in Metro Manila and August 9-14 in Cebu) – Glorietta 4, Greenbelt 1, Fairview Terraces, U.P. Town Center, Solenad and Ayala Center Cebu. Currently playing exclusively at Ayala Malls Cinemas, this year’s Cinemalaya nine (9) entries for the Full Feature category include “Ang Bagong Pamilya ni Ponching,” directed by Inna Miren Salazar and Dos Ocampo starring Janus Del Prado and Ketchup Eusebio; “Dagsin,” directed by Renato Ignacio Magadia, Jr. starring Janine Gutierrez, Lotlot De Leon and Tommy Abuel; “Hiblang Abo,” directed by Ralston Jover, starring Lou Veloso and Jun Urbano; “I America” by Ivan Andrew Payawal stars Bela Padilla; “Kusina” by directors Cenon Obispo Palomares and David R. Corpuz stars Judy Ann Santos-Agoncillo; “Lando at Bugoy” directed by Victor Acedillo Jr. starring Allen Dizon and Gold Azeron; “Mercury is Mine” directed by Jason Paul Laxamana starring Pokwang and Bret Jackson; “Pamilya Ordinaryo” directed by Eduardo Roy, Jr. starring Ronwaldo Martin, Hasmine Killip and Maria Isabel Lopez and “Tuos” by Roderick Cabrido starring Nora Aunor and Barbie Forteza. 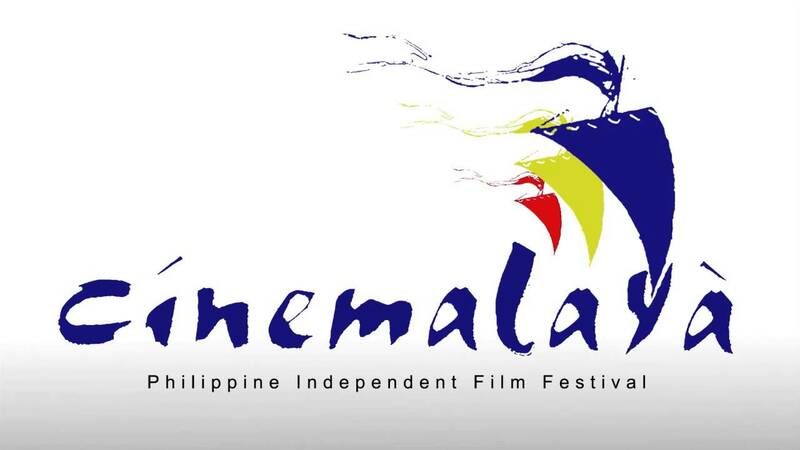 Watch Cinemalaya at Ayala Malls Cinemas – Glorietta 4, Greenbelt 1, TriNoma, Fairview Terraces , U.P. Town Center, Solenad and Ayala Center Cebu.